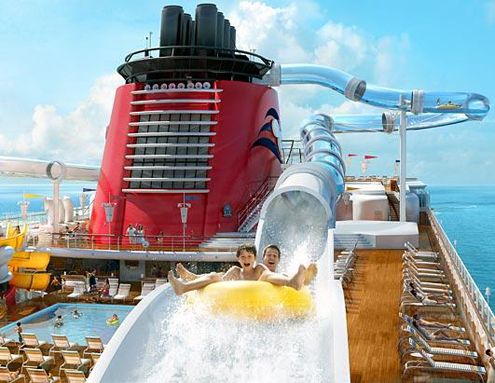 The Disney Dream is the entertainment company’s third cruise liner and the biggest to date, hosting up to 4000 passengers, taking adults and kids on cruises around the Caribbean, amongst other places. Its main attraction is the AquaDuck water coaster, which actually takes the riders off ship – over the water – before bringing them back past the forward funnel and a mammoth drop into a lazy river. This is elevated water coaster – the first of its kind at sea – travels more than 230 metres and features exciting twists, turns and plunges. It was designed for adults and children at least 106 cm.